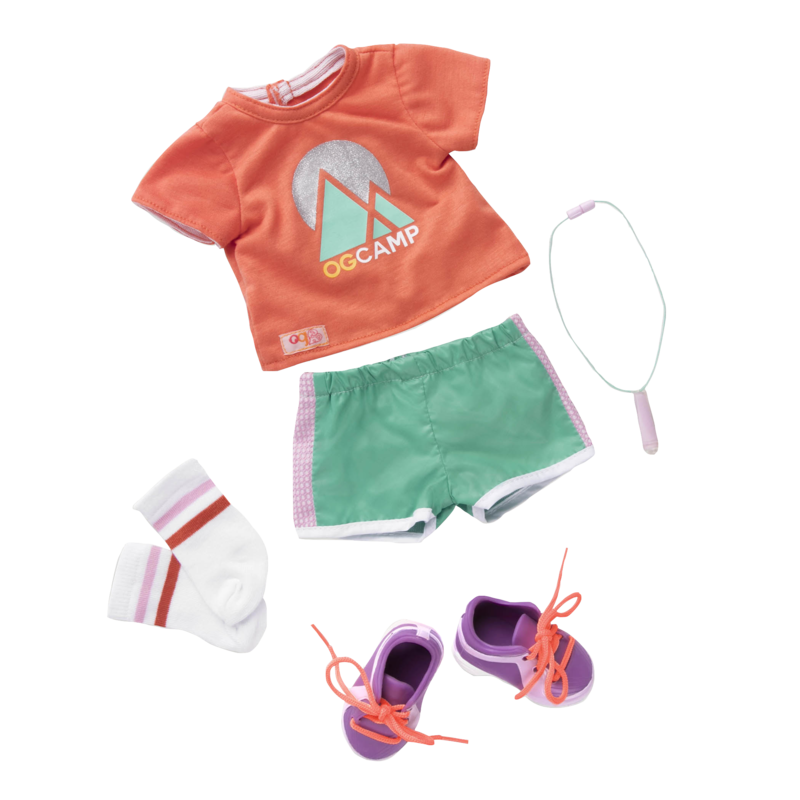 Summer camp is a breeze with this outfit for 18-inch dolls! A day at camp is a day filled with fun! 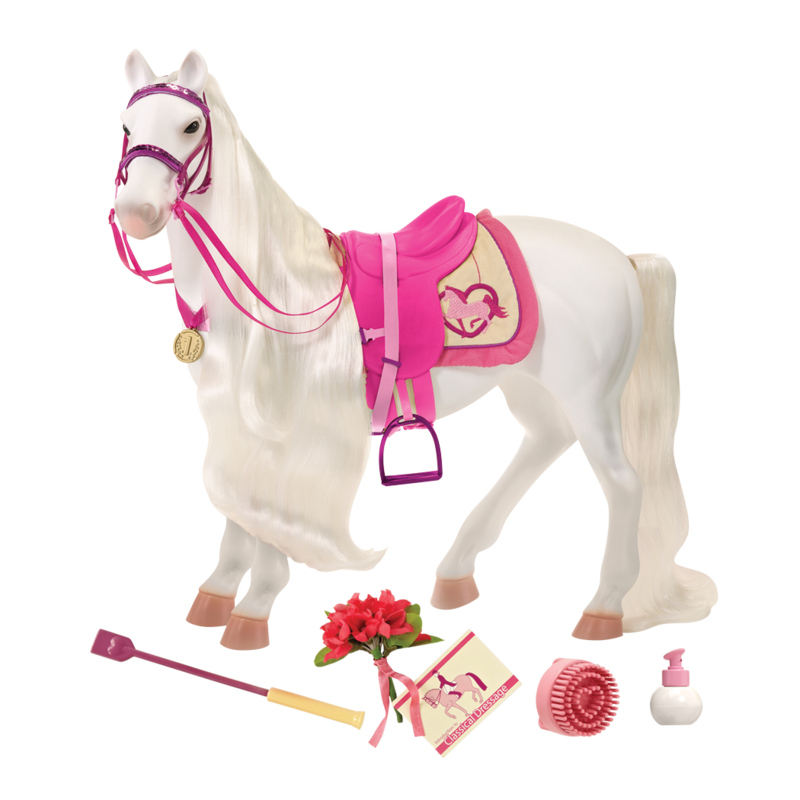 Have a blast with your dolls at summer camp with the Our Generation Camp OG Summer Camp outfit for 18-inch Dolls! This outfit is the perfect look for your doll’s next summer camp adventure! Because there has never been a generation of girls quite like us. We have voices and no shortage of choices. We’re risk-takers and sandcastle-makers. We’re sisters, cousins, and best friends who are organizing park cleanups, saving the rain forests and laughing ourselves dizzy as we swing almost as high as the swing set. The world is our ankle-deep puddle and we’re making a big splash. This is our time. This is our story. Making memories and new friends is what camp is all about! 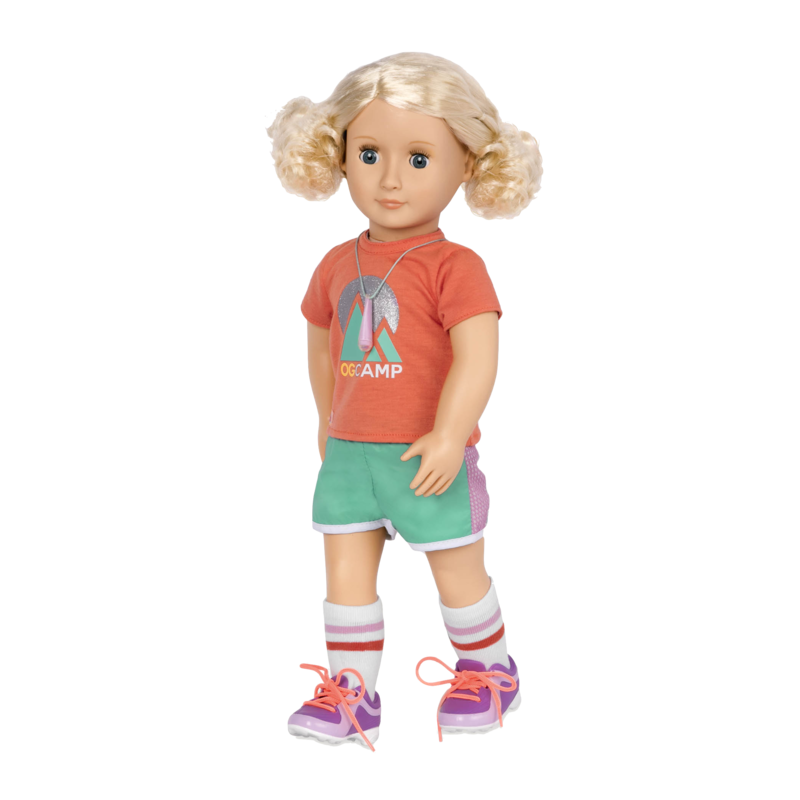 Dress your 18-inch dolls in the bright orange t-shirt with a Camp OG logo on the front. The comfortable and cute green shorts are perfect for the hot summer weather. Classic knee socks and cute purple sneakers with real laces complete the look and will make sure that your dolls are ready for any kind of activities on the schedule. 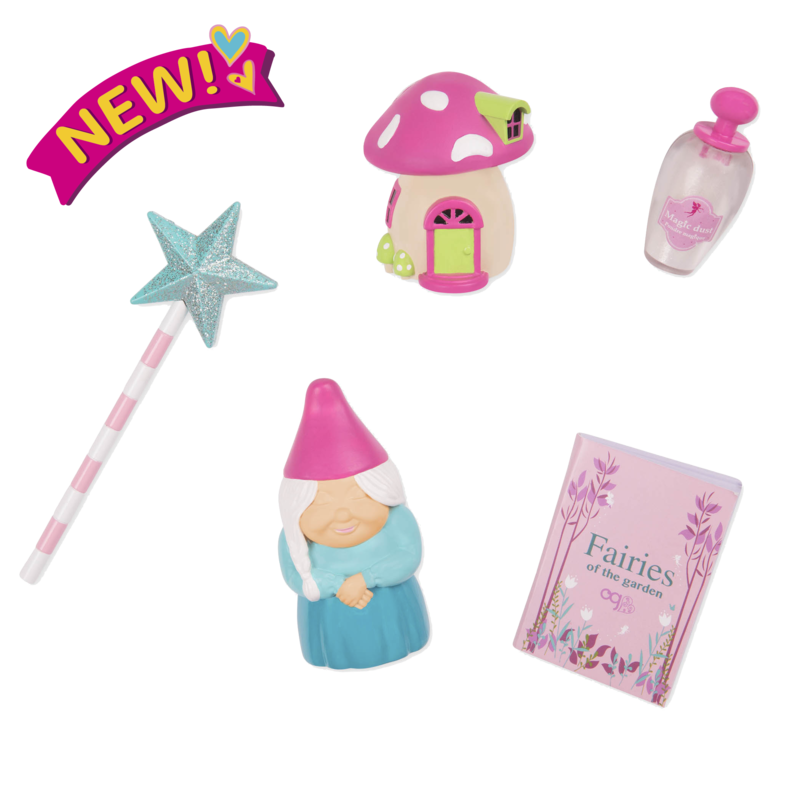 And your dolls will be able to keep track of their SPF lipgloss – it’s on a cord they can wear around their necks, so it won’t get lost! Meet Clarissa, the doll in the pictures of the Camp OG outfit. Clarissa loves the summer most of all, and going to summer camp is one of her favorite summer activities! For more summer fun., take your dolls for a ride with the Owl Be Cruisin’ scooter outfit, complete with a doll-sized scooter that you can decorate with stickers! When the weather is nice, there’s so much to do outdoors! 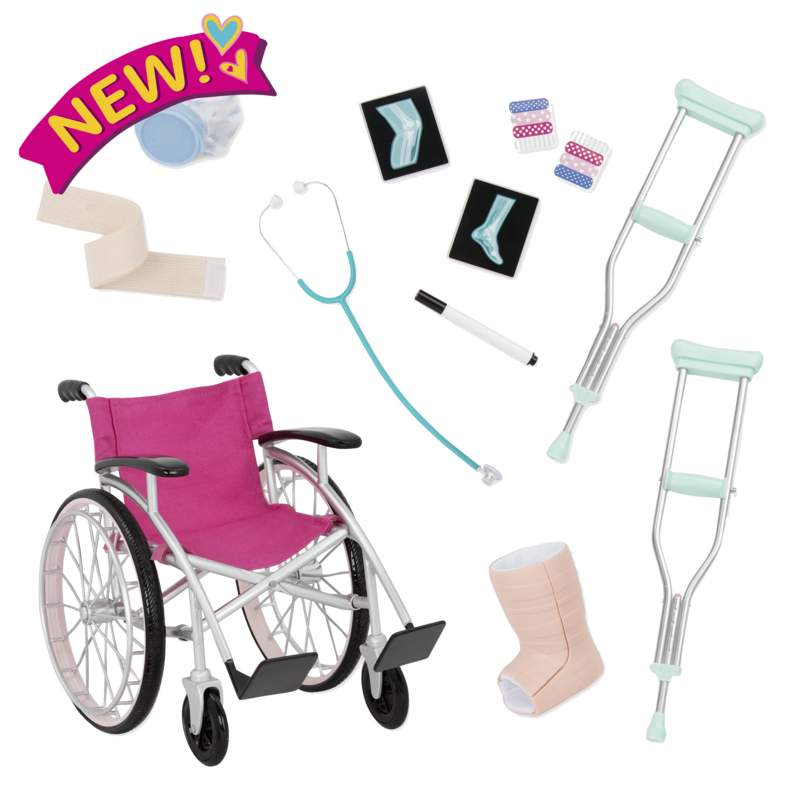 Take your dolls for the best boat ride ever with the Row Your Boat Set! This doll row boat has a string of lights so your dolls can even enjoy a boat ride under the stars!